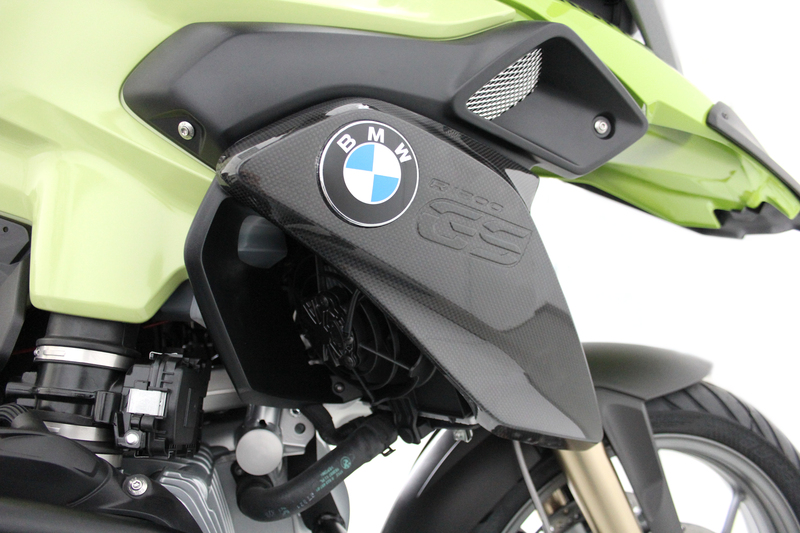 We manufacture the original silver water cooler cover in carbon fiber with "R1200GS" writing for the water cooled BMW R1200GS LC. 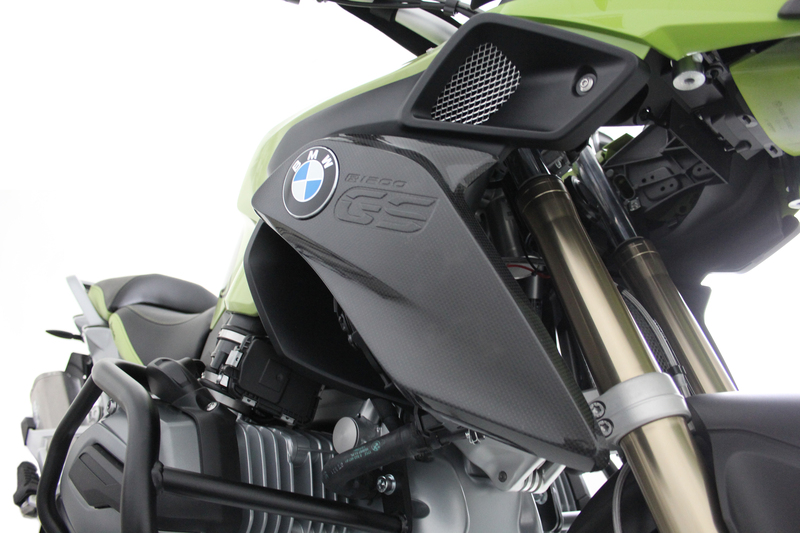 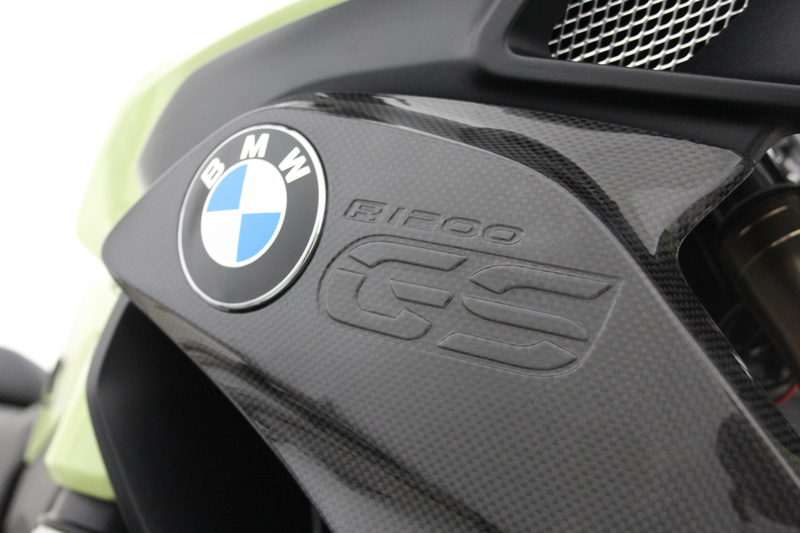 This noble and high quality element replaces the original plastic fairing and will highlight your new R1200GS. 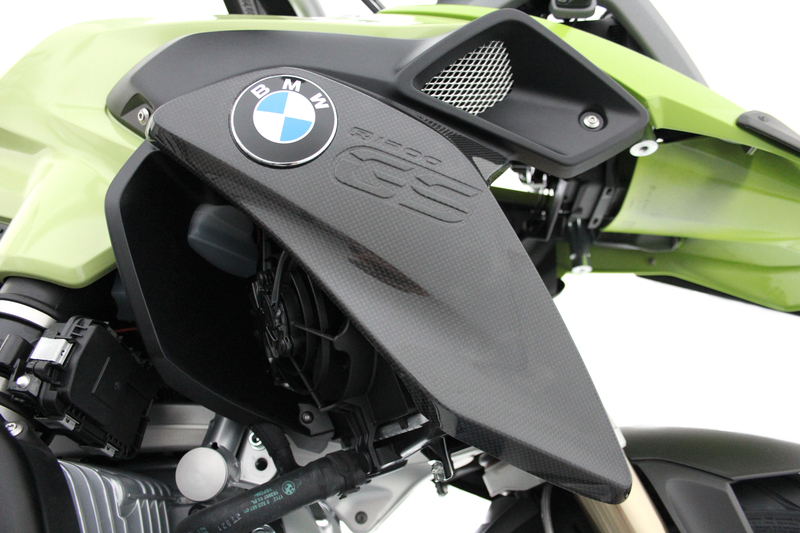 These carbon fiber fairing parts will be vacuum-backed in an autoclave to ensure the highest possible quality.